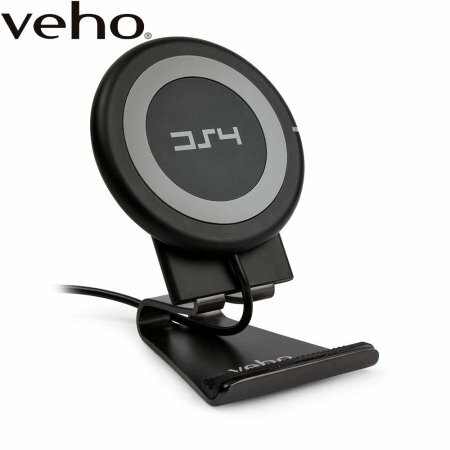 Wirelessly charge your compatible device rapidly with the Veho DS-4 universal wireless fast charging pad. With Qi 1.2 technology and the included magnetic stand, you can fast charge your device vertically or horizontally without wires being a nuisance. I did have to move the niteize magnet to the upper part of the phone. The phone charges on the stand and laying down flat. Advertised as a charger. It works! Compact and does the job ! Great product, neat and com act , I have not used the stand as my phone is in a leather case so does not sit precisely enough to make proper contact. Laying flat on the disc is perfect and provides a fast charge as its rated for that unlike other Qi devices. I so love this item, that I buy a second one for my sister. Works really well with my new phone. This works fine with my Huawei mate 20 pro, but all our other older phones, ipods , ipads, kindles, don't work. Make sure your machine is new enough to work. This is a good looking, quality accessory for anyone who has a smartphone with Qi charging capabilities. Bought to use with my iPhone Max and it's worked perfectly, everytime from day one. Very happy. An incredibly fast charge and very clean looking product. I couldn't be without, I now have one at home, as well as in the office! I have a Samsung S8+ and this charger works very well. Extremely fast charging! I like the cradle part as you can see your phone screen while you are charging.